A comfortable bar stool that will garner guests' attention whenever they visit, the Darwen Bar Stool from Zuo Modern dazzles in any modern or traditional setting. This first-rate bar stool is available in multiple glamorous colors and features a plush leatherette seat for amazing comfort. 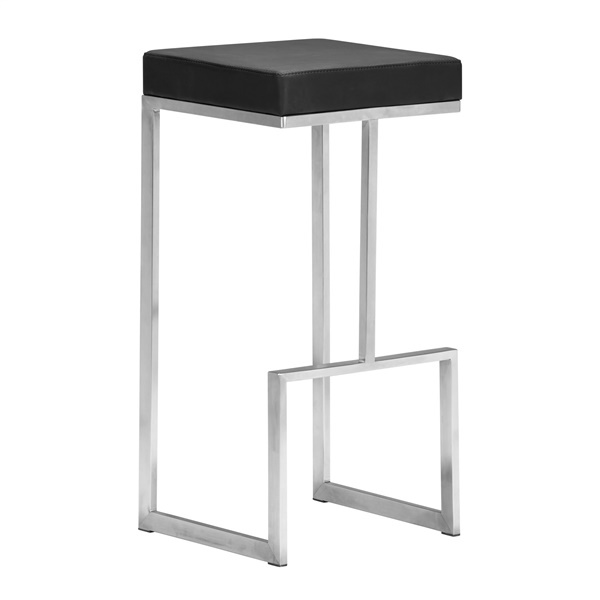 Also, the bar stool includes a 100 percent stainless steel frame delivers outstanding value. For a top-notch bar stool that blends style and quality perfectly, the Darwen Bar Stool provides a superb choice. 100 percent stainless steel frame delivers amazing quality. Plush leatherette seat offers outstanding comfort. Provided in numerous eye-catching colors. Unique design makes the bar stool a wonderful selection in any modern or traditional setting.